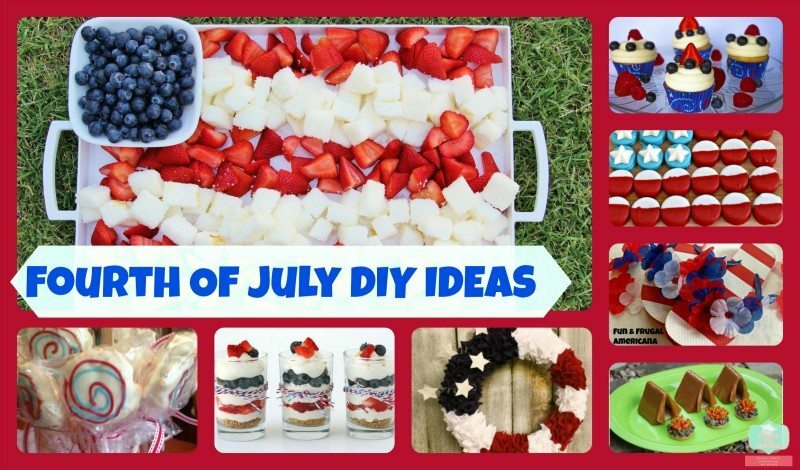 Looking for some creative ideas to celebrate 4th of July outside of traditional BBQ’s and Fourth Of July Fireworks. Here are some great ideas found around the blogging world that I wanted to share. 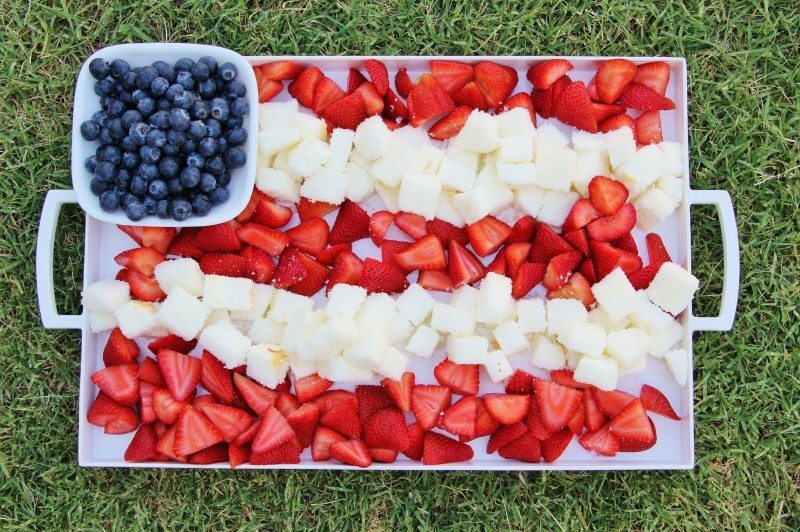 Of course if you have not already seen my most recent 4th of July BBQ recipes Pin check it out here. 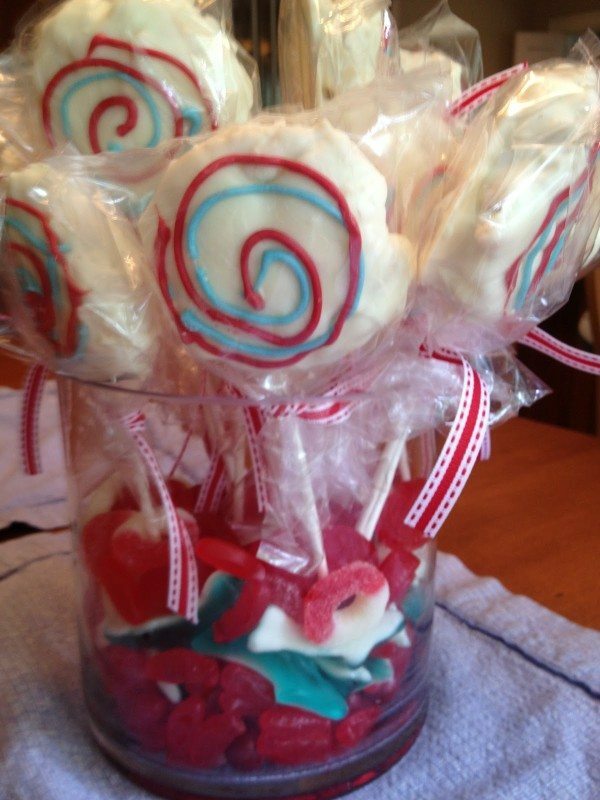 I had this picture on a Pinterest link that is going to a Halloween Friday Food Frenzy post on my site. If this is from your site, please let me know and I will give you credit! 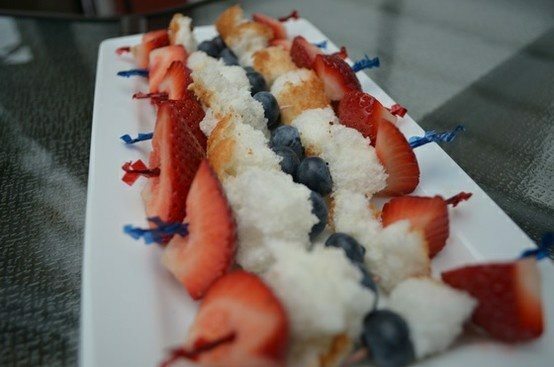 Stay healthy with this creative short cake platter from Around MY Family Table. 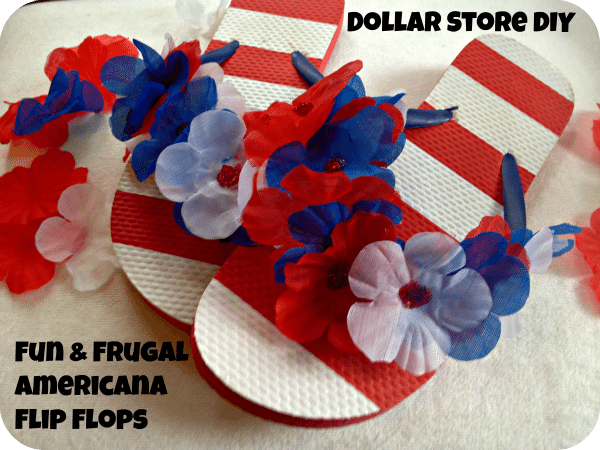 The Military Wife shares Dollar Store DIY- Flip Flops Make some for the whole family! 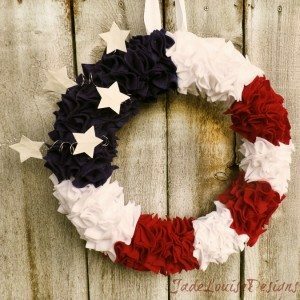 What do you do special for our nations birthday? My pleasure they are wonderful. Thanks so much for featuring my Oreos! 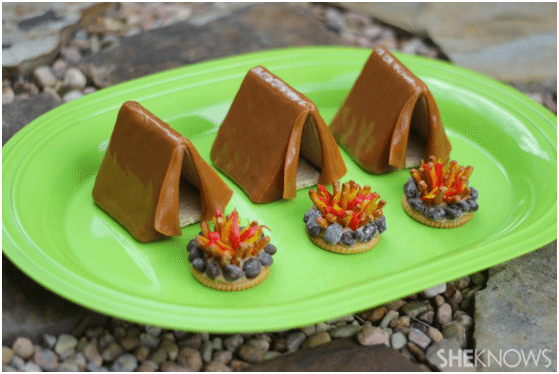 And those little tents are too cute! Great find! thanks for stopping by, there are some creative bloggers out there, glad to share their successes. 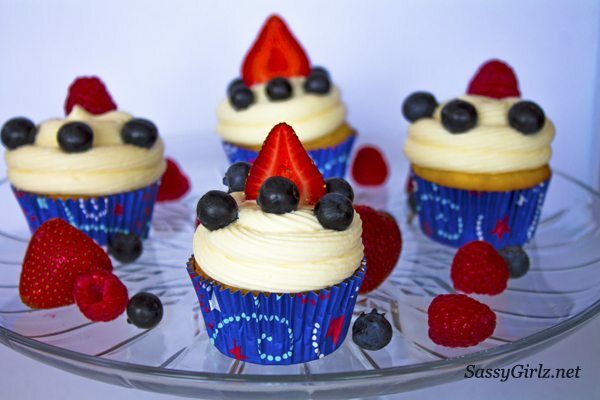 Hi Maria, thanks so much for sharing this 4th of July roundup. I have them pinned! There are just no words for this! I love the little tents best! Fantastic! 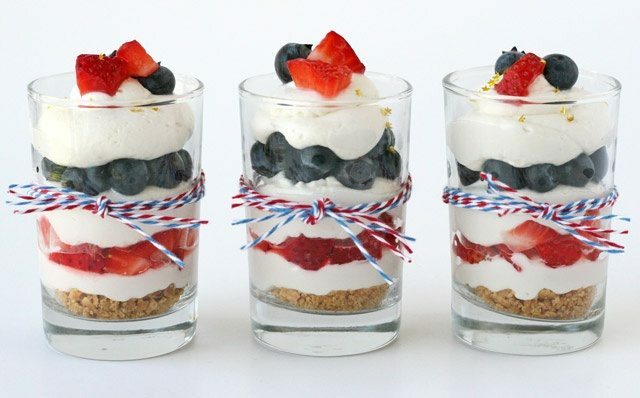 Love the shortcake platter!! 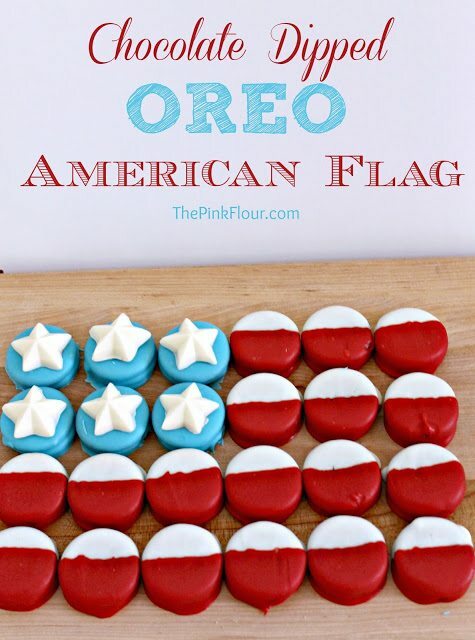 and the chocolate dipped oreo American flag!! ive never seen the tents and campfires before! they are so cute 🙂 must make for my boys next time they go campling!